Remember when you were a kid and you imagined how fun it would be to drive on a full-scale Hot Wheels track? I’m sure most of us still think it would be fun, though realistically we know it’s just not going to happen. At this age we realize how dangerous this stunt would be thanks to a lifetime of experiences and mishaps with a thing called gravity. That and there just isn’t enough life sized tracks with loop-de-loops around for us to drive on. 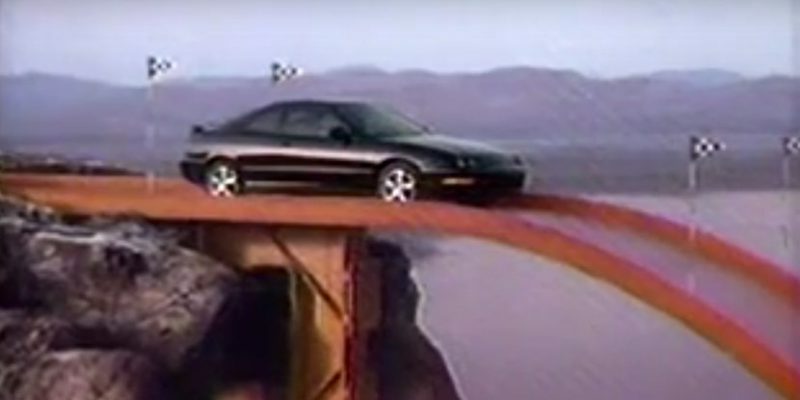 If you flashback to 1993 you might remember a semi-realistic commercial featuring the new Acura Integra and a full-scale Hot Wheels track. Not only did it look fun, but the Integra even made it safely around the loop-de-loop. The third generation Acura Integra debuted as a 1994 model in America, and was produced until 2001 when it was replaced by the Acura RSX the next year. In its eight year run, the Integra made it on Car and Driver’s annual Ten Best list six times. Watch the classic ad below and remember, the track is sold separately.